I recently profiled the Anglo-Indian musician John Mayer, who joined the London Philharmonic Orchestra in 1953. That profile quoted the violinist as describing himself, probably with tongue-half-in-cheek, as “the first black face in a symphony orchestra”. However, subsequent research has uncovered another Indian who joined the same orchestra three years earlier. Born into a professional Parsee family in Bombay in 1922, Homi Kanga was, like John Mayer, a pupil of fellow Parsee and father of Zubin, Mehli Mehta. 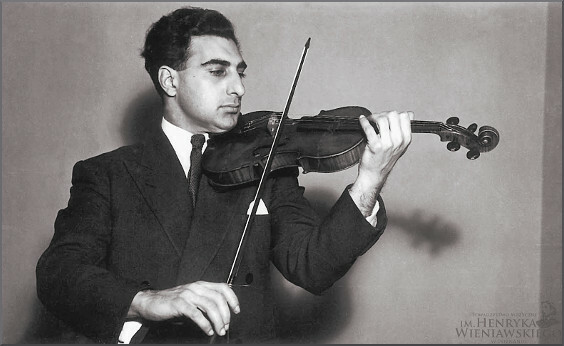 That is Homi Kanga above; he studied in Paris with Gabriel Boullon, and after joining the London Philharmonic in 1950 remained with the orchestra for 10 years. Homi Kanga died in 2004 and his Guardian obituary reports how "His relations with the LPO cooled when Kanga complained about the dismissal of a colleague for what he viewed as political reasons. So when he received an offer from the Royal Philharmonic Orchestra, he accepted and remained there for five years, acting on occasions as guest leader". Presumably this incident was the falling out between the LPO management and John Mayer reported in my article, as Mayer also left the orchestra for the RPO at this time. Homi Kanga also had a distinguished career as a chamber musician and soloist, and said that the greatest moment in his career was when he played all the Bach solo sonatas and partitas from memory at two performances at the Wigmore Hall in the 1970s. The path that led me to Homi Kanga started with Bakhtiar K. Dadabhoy excellent's new biography of Zubin Mehta. This is published by Penguin India and has been unjustly overlooked in the West. At a time when youth is viewed as the new snake oil of the conducting profession, Bakhtiar K. Dadabhoy reminds us that Zubin Mehta became music director of the Montreal Symphony Orchestra at the age of twenty-four in 1961, and a year later became music director of the Los Angeles Philharmonic. The biography also provides a useful perspective on the struggle of ethnic minorities to take their rightful place in classical music. The received wisdom is that these minorities have faced insurmountable obstacles until the present time, and this is certainly true in the States for African-Americans. But in the UK there was an acceptance of musicians of colour such as Rudolph Dunbar, John Mayer and Homi Kanga in the immediate post-War period. What deserves further study is how and why this acceptance was reversed as Britain progressed from post-War austerity to the supposedly more tolerant 1960s. Zubin Mehta: A Musical Journey by Bakhtiar K. Dadabhoy was bought at the Full Circle Bookstore, Khan Market, Delhi, one of the world's great bookstores. Photo source Henryk Wieniawski Violin Competition. My social media accounts are deleted. But new Overgrown Path posts are available via RSS/email by entering your email address in the right-hand sidebar. Any copyrighted material is included for critical analysis, and will be removed at the request of copyright owner(s).